Imagine: It’s 1880’s and you’re horseback riding through the grasslands of the Black Hills of South Dakota. You crest a rise and you see a herd of bison. Your horse smells the air and he snorts a little. On you ride towards the herd excited; in wonder, spiritual just like the native Americans would feel. The majestic beasts get bigger as you approach. They watch in curiosity and protection of the herd. They allow you to pass within 30 feet of them; your heart is pounding with excitement and you realize what just happened… that less than 1% of the population would ride with the bison. I personally took this ride along with 20+ riders with Steve Shaw’s Great American Adventures. From September 3 to the 7th we rode the Black Hills, Crazy Horse, spent time and dined at Mount Rushmore, strolled Deadwood and walked to Saloon #10. This is my 9th ride with Great American Adventures.. which I believe was the most majestic and spiritual ride of all. In the past seven years I have had the pleasure of participating in nine rides that Steve and Marcie Shaw have organized. All of them have been expertly planned down to the last detail. They provide each rider and non-rider with the experience of a lifetime, both on horseback and in our interactions with the communities where the rides are conducted. Having said that, Wild Bill Hickok’s Last Ride in Deadwood, South Dakota has to be the pinnacle of the Great American Adventure! The history and culture of the area were brought to life through visiting museums and hearing lectures from local authorities, and by riding with knowledgeable guides through buffalo country. If a person were to have the opportunity for only one ride, this would be the ride to select. On our travel home, we talked and reminisced about the latest ride, of course. 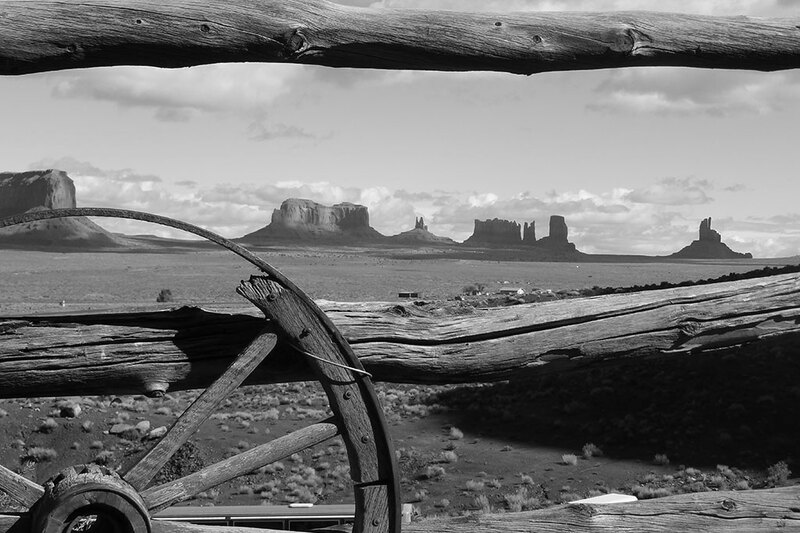 One of us always states, “I think this was our funnest Great American Adventure yet!” Wild Bill’s ride with the Pistoleers was our last and best…..or was it the Great Train Robbery….or the movie ride….Monument Valley….etc., etc.? Each ride is hard to top, but Steve and Marcie keep shooting for the stars. We are very much looking forward to Tombstone and the Vendetta Ride, our eighth and counting. What does that tell you? Thanks, Steve and Marcie – our last always seems to be the best! Now that I have returned to the trenches of my “real life”, I find my mind wandering back to the joys of my recent participation in Great American Adventures’ Deadwood tour. Just as there are no words to describe the incredible vistas we enjoyed of 360 degrees of clear blue-blue skies, stands of silvery aspens, forests of pine, water falls, beaver dams, prairie dog towns, and wildlife sightings of deer, antelope, and coyotes, there are no words to describe the sheer pleasure being on horseback in South Dakota’s Black Hills—days punctuated by such activities as a visit to Mount Rushmore, a whiskey toast at Wild Bill Hickok and Calamity Jane’s gravesites, and world-class speakers who stimulated our thinking on such issues as Native American cultures. Certainly, the icing on this multi-tiered cake of new experiences was the afternoon that we rode upon a herd of buffalo. I would be derelict if I didn’t mention how sharing this experience with a reasonably sized group of riders turned us into a caring community of warm friends. The “Wild Bill Hickok Ride” was one of the most memorable experiences of my life and I thank Steve and Marcie Shaw for hosting an event that most people only dream about! Well I didn’t think Marcie and Steve could out do the many previous rides I had been on, but they certainly did it. Wild Bill Hickok’s Last Ride was over the top, just amazing! The pre-trip was amazing from Devil’s Tower to the Tatanka Museum to all the historical spots in the Deadwood area. The horses and wranglers Troy, Biscuit, Bob, and Alan were great. The trails were so scenic and historically interesting. All the historians on the ride were so knowledgeable on their subject, you loved listening. The restaurants and food was 5 star! Enjoyed the comradery of the riders, wonderful people. I would do this ride again (and have already signed up for next year!). This ride was the ride of a lifetime. Great American Adventure brought the Wild West to life. From the historical town of Deadwood to rides in the Black Hills, Spearfish Canyon to finding the Bison herd in Custer State Park. Awesome!